Credit: Kirsten Carlson. Download this image (PNG, 239 KB). [01-Feb-17] Dr. Antonio Mannino gives a talk on the R/V Falkor. 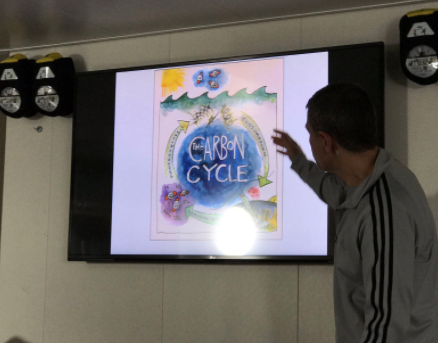 The image on screen that depicts the carbon cycle was produced by the artist in residence.